On June 22nd of last year, I happened upon an incredibly brilliant and laugh-out-loud funny blog post that centered around a big, metal chicken named Beyoncé. The chicken was purchased at a discount store by the irreverent and lovely Jenny Lawson, aka The Bloggess. You see, her dear husband had specifically instructed her not to buy the bath towels she’d planned to get. So she honored his request and, rather than buying the practical towels she wanted, she bought a 5-foot tall metal chicken. Then she wrote a blog about it, entitled And That’s Why You Should Learn To Pick Your Battles. I loved the blog post so much I shared it on my Facebook page. 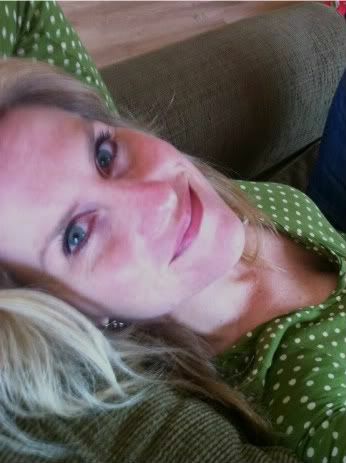 Jenny Lawson became my hero. And, my friends and I began sending each other photos of big, metal chickens with the tagline “Knock, Knock, Motherf*****.” It’s become something of a hobby for us. My friend Heather M. gave me a small Beyoncé stand-in last Christmas. As soon as she had done that, Beyoncés started coming out of the coop all over the place. 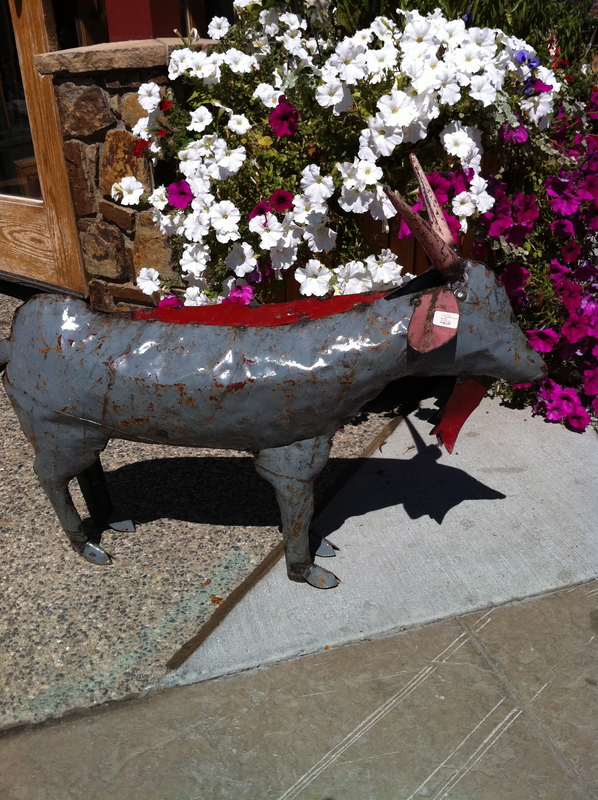 My other friend Heather, Heather L., texted me a photo of this beauty who was found standing outside the Castle Rock Mercantile last March. In July, Heather M. sent me a photo of a huge Beyoncé wanna-be in Whitewater, Colorado. Then, I found Beyoncés of several sizes at an antique store in Redstone in August. 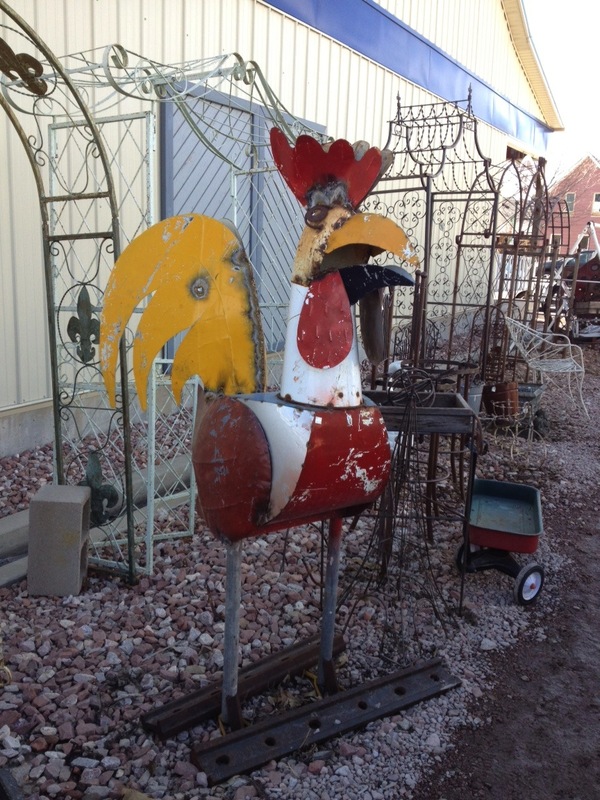 I would have gotten one too but the largest one was priced at $285, which is about $250 more than I can afford on the meager, metal-chicken budget my husband has given me. All of this got me to thinking, though, that what I truly want is not a metal chicken at all but a metal goat. I saw one last September in Steamboat Springs. It was standing outside the Steamboat Art Company and it was bleating “buy me” so loudly that I was sure Steve would hear it from Denver and approve the purchase. I know that a metal goat is not something most people are attracted to and I had no particular place in mind to put him if I got to bring him home, but I had to try. I texted Steve a photo of the tin beast. Me: I think I need to get this metal goat. Isn’t he cute? Me: I think I need him. Steve: How much is he? Steve: He’s not that cute. Steve: Where will you put him? Me: The question is where won’t I put him? He can go anywhere. He’s a nice, neutral grey, perfect for any decor. Me: Oh, come on. You know we’re always talking about how I don’t decorate. Steve: I’m not so sure a big metal goat is the kind of decorating decision we need to be making. Me: Fine. I won’t get it. Even though I love goats and will never be able to have a real one. Steve: Remind me…why do you love goats? Me: Because I can relate to them. They’re spunky. They’re cute. They eat anything. They remind me of me. It’s been a little over a year since my goat sighting. I have looked at the Steamboat Art Company for it several times and not seen it again. It breaks my heart to know that goat is living in someone else’s home. I did see its smaller, less expensive, somewhat flimsier cousin in Crested Butte this summer, but we were camping in our pop-up at the time and I didn’t know where I would put it. I mean, strictly speaking, I think of our pop-up as more garden gnome quality, although it may be nearly good enough for one of those concrete geese that country folk dress in rain slickers. All I know is that if I ever find that metal goat again, I’m going to bring it home, credit card statement be damned. Then someday when Steve has picked the wrong battle with me, in honor of Jenny Lawson I will pull it from its hiding space and set it inside the door from the garage so that feisty goat greets him after work wearing nothing but a tag that simply reads: “Baa, baa, Motherf*****!” Remember, husbands…you may think you’ve won the battle, but you will never win the war. Ever.